It was a little on the chilly side but we had wind. A light wind but wind. Something we haven’t seen too much of in the past couple of months. Because it is technically winter, there aren’t a lot of people on the beach. Mostly fishermen. And that’s a good thing because we don’t have to be concerned about people waking into our kite lines as we anchor out the single line kites. 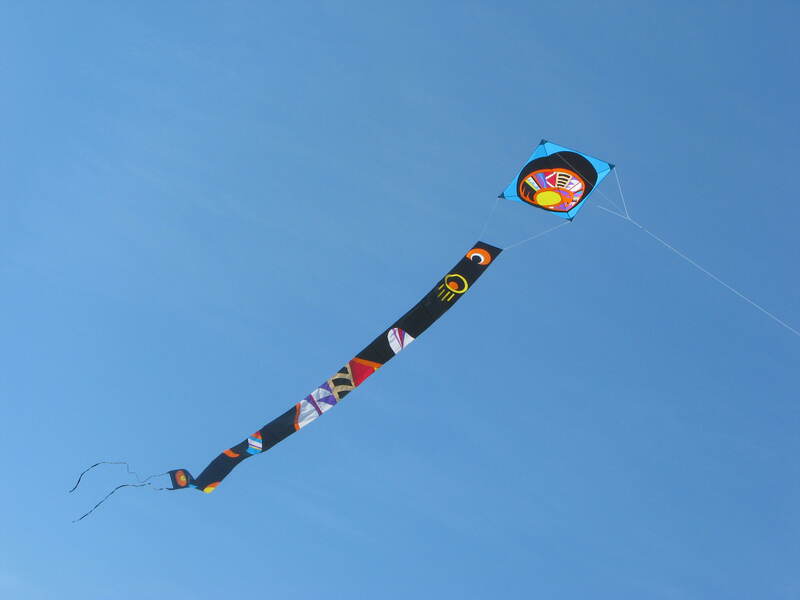 There were four fliers on the beach and a variety of kites in the air. The largest was Blackfoot’s Magic Gourd by Premier. 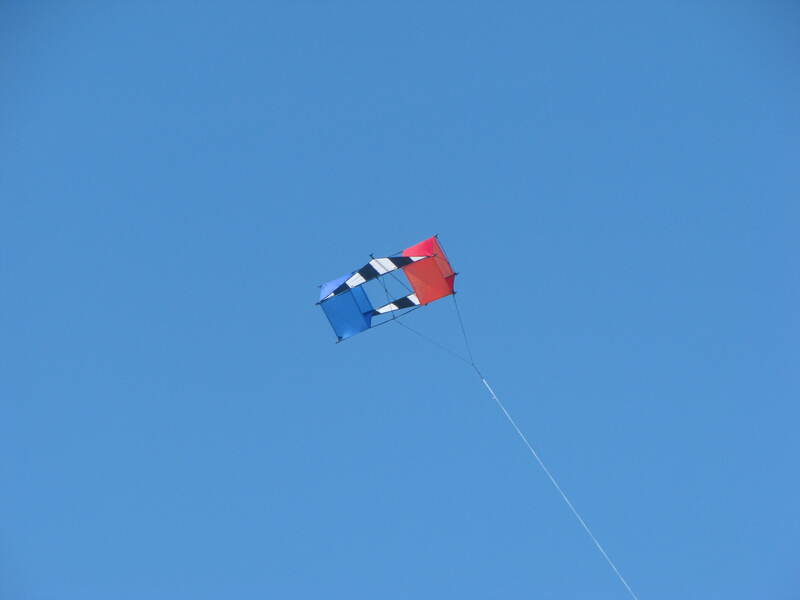 The wind was l little light for this kite and it settled to earth a few times but I hadn’t flown it in quite some time and couldn’t resist putting it up. The second largest was the Powersled 24, also by Premier. This is currently my husband’s favorite. 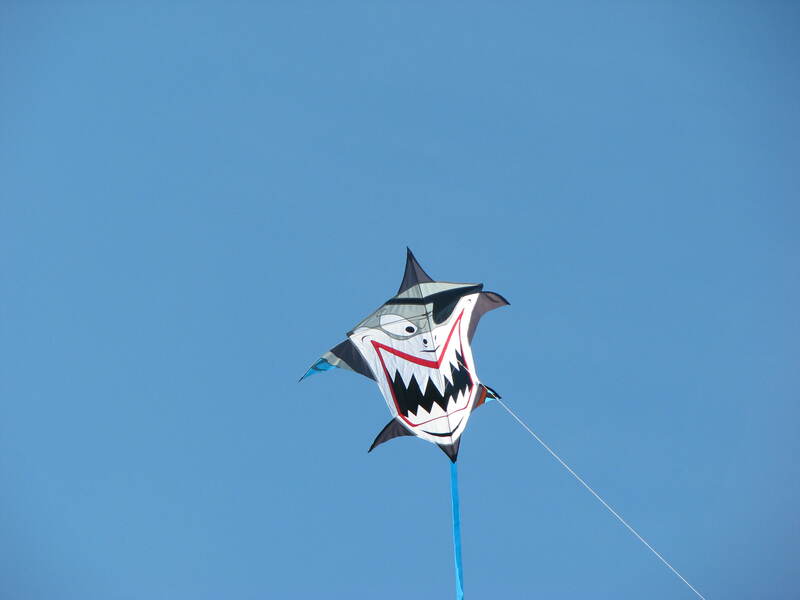 The rest of the kites in the air were smaller kites that the local kite shop owner was testing out. They probably will be included in this years offerings at the shop. Mostly they flew pretty well. I tried to put up my three-stack of Goblins. I trained these together this past October and haven’t had a chance to fly them yet. Either there was no wind or I didn’t have them with me when the wind was up. I thought sure today was the day. So I took them out of the bag and spent the next twenty minutes untangling and re-attaching the train lines and bridle. How things can get so tangled when all they’ve done for months is sit in a bag is beyond me. Finally I was ready to go and had my helper give me a launch. Well, the flight lasted about ten minutes. There just wasn’t enough wind for a three-stack. I put a lot of work into that ten minutes and ended up waling backward for about 75 to 100 feet. Nothing was going to keep those kites in the air. So, back in the bag they go for another day. 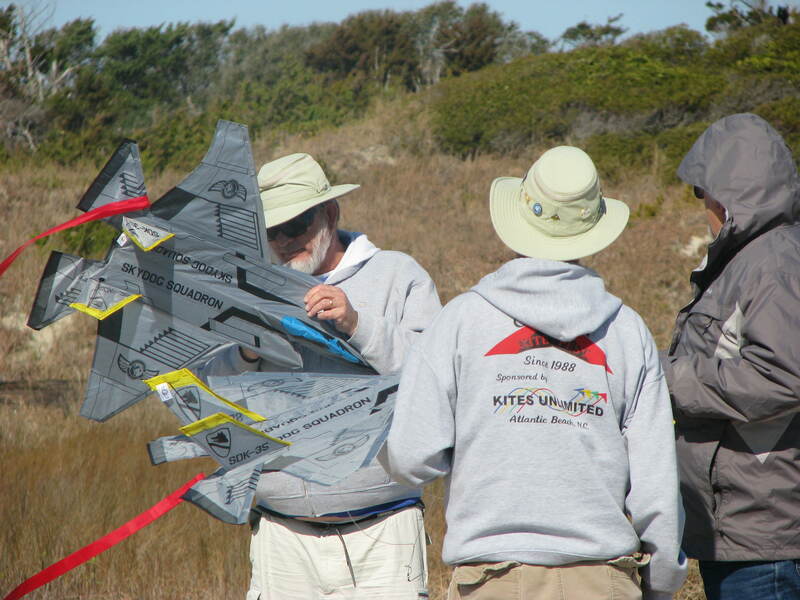 Probably the most interesting part of the day was watching the men working on getting an airplane kite in the air. 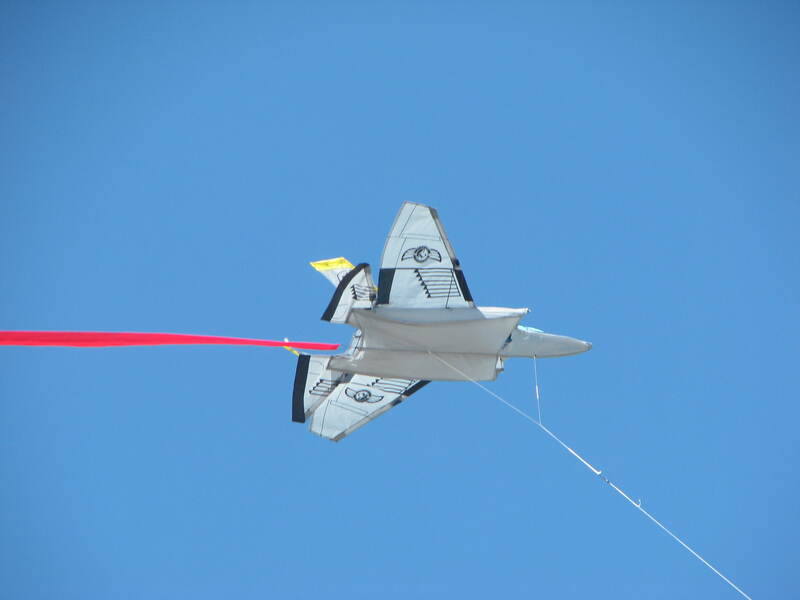 The kite shop owner worked on his a bit and got it flying pretty well. So my husband thought he could get some help in getting his in the air. Now he has been dying to get his airplane to fly for a couple of months with little to no luck. So the two of them started working on it. They were soon joined by the other flier on the field. 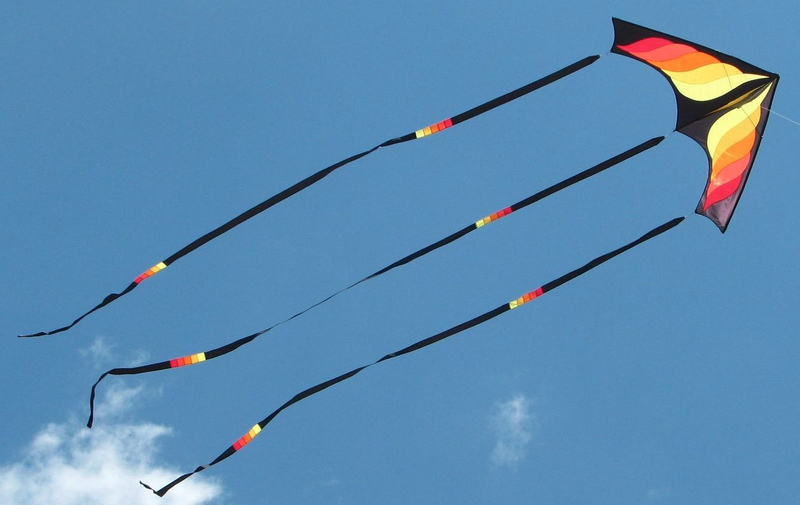 Now you have three men and two airplane kites, one that will fly and one that won’t. And all of them too stubborn to give up making the one kite fly. Watching this made for an entertaining morning. “Boys” and their toys. 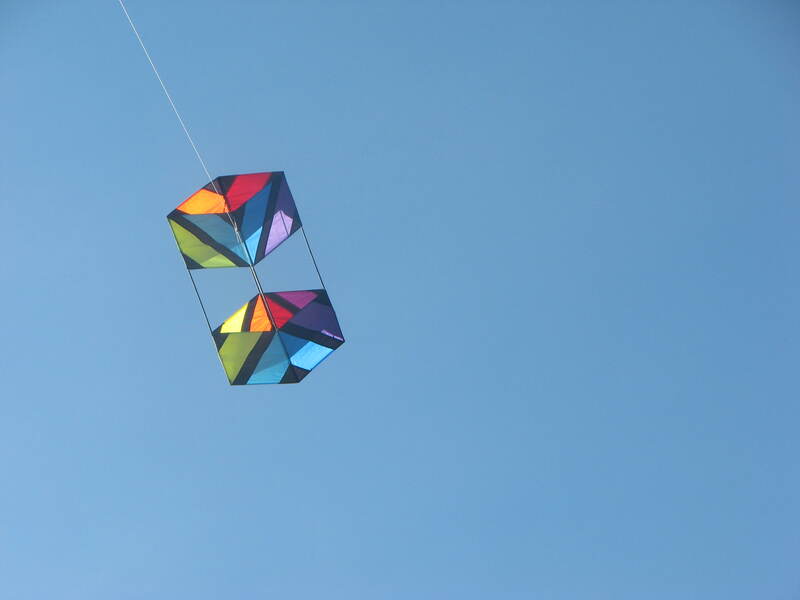 Did the kite eventually fly? No! We have a lemon. It was a good morning that lasted into the afternoon. Three hours on the beach. A day many would envy. I’m smiling. « Is This January Or June?